One of the funniest and most outrageous comedies of 2005, Wedding Crashers will have you falling out of your chair with laughter. 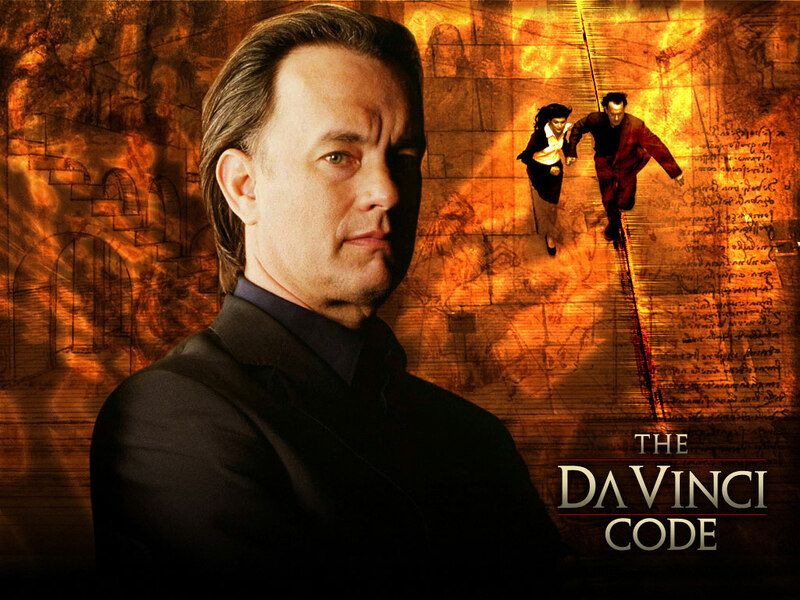 Directed by the underrated David Dobkin, the film features now veteran Hollywood funny men Owen Wilson and Vince Vaughn in their first film together as the central headliners. TV writers Steve Faber and Bob Fisher author the screenplay, a breakout hit for both, that has to be considered one of the best written comedies of the year. 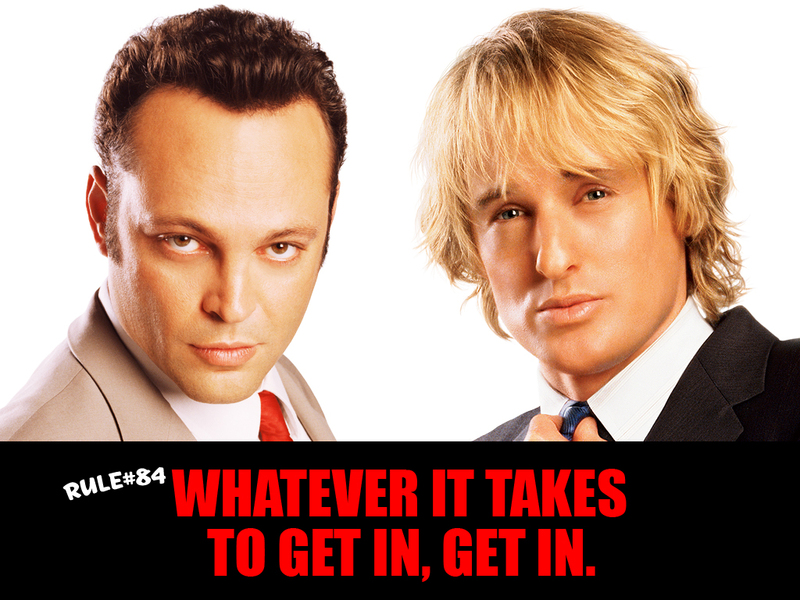 Of course, it helps to have the perfect comic duo delivering the lines, and Wedding Crashers offers just that. The onscreen personas of Vaughn and Wilson compliment each other extremely well, providing a flux between the laid back approach of Wilson and the fast talking banter of Vaughn. Wedding Crashers follows the lives of two business partners and best friends, John Beckwith (Owen Wilson) and Jeremy Grey (Vince Vaughn). Making their living as divorce counselors, they often mediate between warring couples. But in reality, neither man is married himself. They are, however, loyally dedicated to a set of principles: the wedding crasher rules. Adhering to a specific set of intricately engineered rules for crashing weddings, John and Jeremy share a common passion for wedding receptions and carefree bridesmaids. Nominated for 14 Academy Awards and winner of 11 including Best Picture, Titanic became a worldwide phenomenon upon its release in 1997. Written and directed by James Cameron, the producer behind such hits as Terminator 2 and True Lies, the film chronicles the tragic 1912 sinking of the Titanic on its maiden voyage while interweaving a classic love story. At 194 minutes, it’s probably the longest commercial blockbuster in recent memory. Apparently, the sinking of the ship mirrors the real life timeline of the original sinking of the Titanic and that’s the reason for the three-hour plus running time (or at least, that’s what I’ve heard). Nevertheless, unless you’re absolutely disgusted by overly idealistic love stories, it’s a film well worth watching. Titanic centers around the life of Rose DeWitt Bukater (Kate Winslet), a young woman onboard the celebrated launch of Titanic, the world’s largest luxury ship and a vessel believed to be indestructible. Accompanied by her social-climbing mother Ruth (Frances Fisher) and her arrogantly wealthy fiancé Caledon Hockley (Billy Zane), Rose is bound for the beauty and sophistication of Continental Europe. But her trip, and her life, take an unexpected turn when she encounters Jack Dawson (Leonardo DiCaprio), a vagabond artist with no money, zero social status, and a zest for life. Against the wishes of Ruth, Rose and Jack fall in love, incurring the wrathful vengeance of Caledon. But, in the end, only a disaster of epic proportions can break the couple apart. With a number of standout performances by a star-studding cast, including previous Academy Award winner Kathy Bates in the role of “new money” heiress Molly Brown, Titanic is a truly memorable film. The scope and opulence of the fabled ship is simply breathtaking, and the costumes and props form a brilliant kaleidoscope of images from the past. Although an overblown and idealistic teenage love story was the true focus of the film, Titanic created enough action and suspense during the sinking to keep viewers who aren’t interested in such plots interested. Inevitably, most viewers will envision themselves in the midst of such circumstances, wondering how they would react. 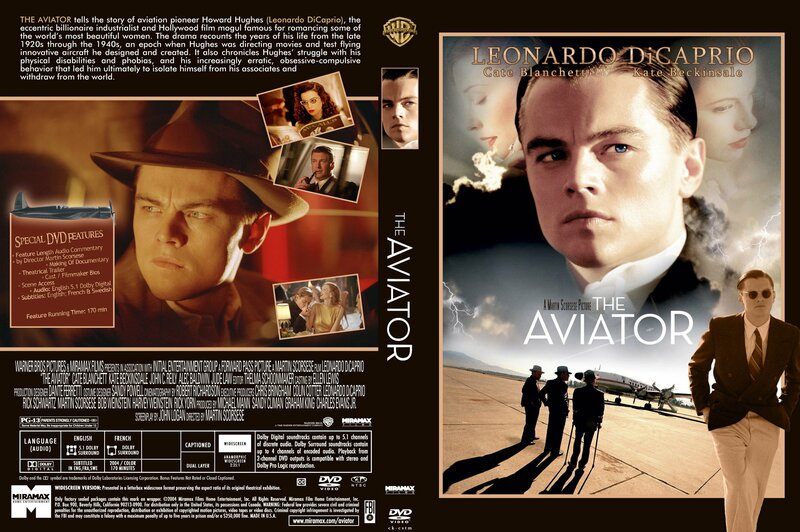 Parts of the film are narrated from the perspective of a present day speaker, and the flashback sequences are combined to good effect. Overall, it makes for an outstanding film. James Horner composed the musical score for Titanic, and his efforts are one reason the film experienced such widespread success. With a number of brilliant and original scores already to his credit – Field Of Dreams (1989), Legends Of The Fall (1994), and Braveheart (1995) all come to mind – Horner expands upon his unique voice by creating a soundtrack that combines the lazy breeze of an Iowa cornfield with the majestic plains of Scotland. In addition, Celine Dion provides the breakout performance of her career with the hit single “My Heart Will Go On,” which in the movie is paired with the most famous scene from the film in which Jack and Rose stand on the bow of the Titanic and pretend to fly. Not surprisingly, I’ve learned that in the years since, many tourists have lost their lives trying to mimic them. So I don’t recommend you try that! But I do advise watching Titanic. If you can sit through the sappy, melodramatic love scenes and the accompanying dialogue, you’ll be blown away by the special effects, the costumes, the set, and the soundtrack. Starting with the very first episode (airing December 17, 1989), The Simpsons (Season 1) DVD is packed with some of the best episodes in the show’s history. All of these early episodes exhibit a bit of amateurish (by later Simpson standards) animation, seeing as how the popularity of the show had yet to land it the massive budgets of subsequent years. 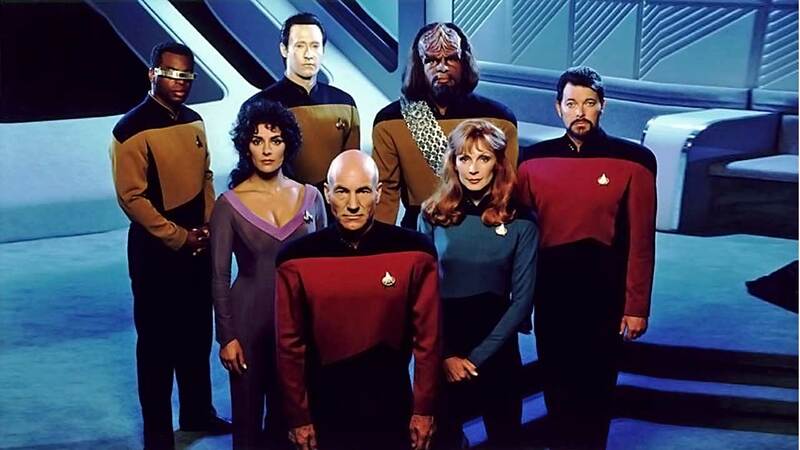 However, this does not take away from the show’s acerbic wit which is present and in full swing throughout all thirteen of the original episodes. A few details do stand out. Homer’s voice is slightly different, and he isn’t as stupid as his character is later portrayed to be. But all the other Simpson family members are firmly established from the get-go. These initial episodes witness the appearance of such beloved supporting characters as Krusty the Clown, Ned Flanders, Itchy & Scratchy (although they’re just cartoons! ), Monty Burns & sidekick Wayland Smithers, Patty & Selma, Martin Prince, Grandpa Simpson, Reverend Lovejoy, and a host of other highly regarded inhabitants of Springfield who have climbed their way into the hearts of America since the show’s debut. As the longest running animated show in history, and the longest running prime-time show of any type, The Simpsons is an American treasure – a combination of humor, wit, and satire that examines not just the lives of its eccentric characters, but also the society, culture, and world in which we live. 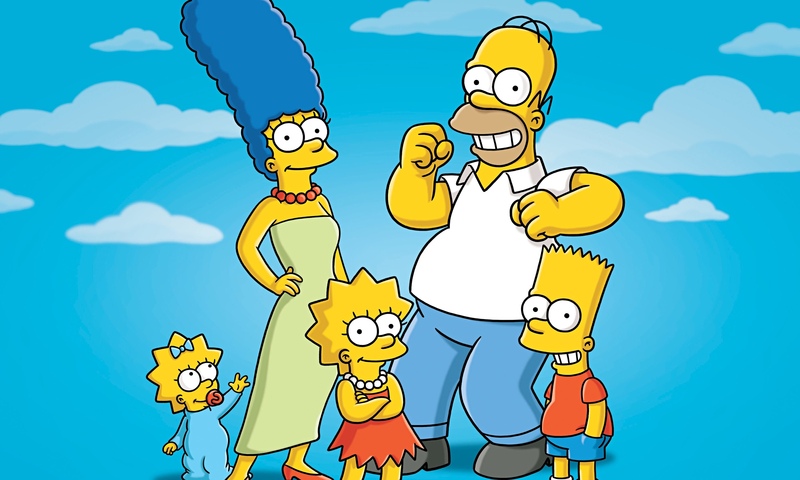 Fun for adults and children alike, The Simpsons is a cutting edge television comedy that, like Seinfeld, altered the television landscape in the 1990’s by dictating a new genre of TV fun that spawned network investment in new animated series such as King of the Hill, Futurama, and The Family Guy. Duke (James Garner) regularly reads from the pages of a notebook to an older woman in a nursing home. Suffering from Alzheimer’s disease, her memories of the parts which he’s read in the past appears and disappears without order, but Duke continues to read to her because of their deep and enduring friendship. The notebook’s story centers around the lives of a teenage boy and girl who meet at a carnival in the late-1930s. At first, Allie Hamilton doesn’t know what to think of Noah Calhoun, but she soon gives into his insistence that they go out on a date. When Noah and Allie fall deeply in love, Allie’s parents try to break up the couple. The Hamiltons are rich, and Noah and his father are from the poor side of town. Nevertheless, Allie and Noah are determined to be together. When World War II breaks out, Noah is sent into conflict. He writes numerous letters to his love, but they go unanswered because Allie’s parents are hiding the letters as well as her replies to Noah. After several years apart, Allie becomes engaged to successful businessman. But after reading a newspaper article concerning Noah’s restoration of a historic home he once promised her, she decides to go visit him. Actor Ryan Gosling is entertaining and likeable in his portrayal of the young and energetic Noah Calhoun. The Notebook as a film is better served by featuring his superb talents. Likewise, up-and-coming actress Rachel McAdams is brilliant in her role as Allie. The emotions of her young romance are clearly conveyed by a natural and instinctive penchant for delivering her lines in just the right way. Call it onscreen charisma or whatever, but McAdams is one to look out for in the future. 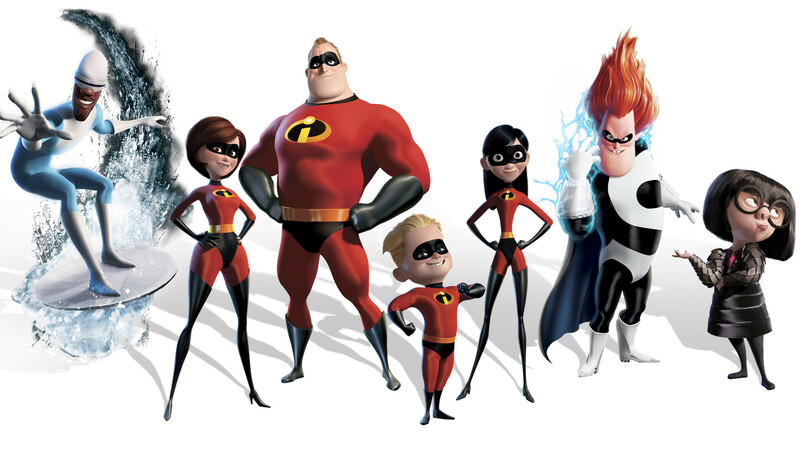 The Incredibles is set in the fictional cartoon township of Metroville (a hybrid of Superman’s two homes, Metropolis and Smallville). Metroville is home to a number of miraculous superheroes who do everything from hunting down evil murderers to saving cats stuck in trees. Foremost among the superheroes is Mr. Incredible (Craig T. Nelson) who resembles Superman in both strength and style. Shortly after Mr. Incredible’s marriage to the vivacious Elastigirl (Holly Hunter), a surge in civil lawsuits and other unwarranted torts are brought against the superheroes by the people they save, who cite numerous damages to their person as a result of being saved. The rash of legal action, and the strain it places on the local governmental budget, turns the tide of public opinion against the superheroes and forces them underground. 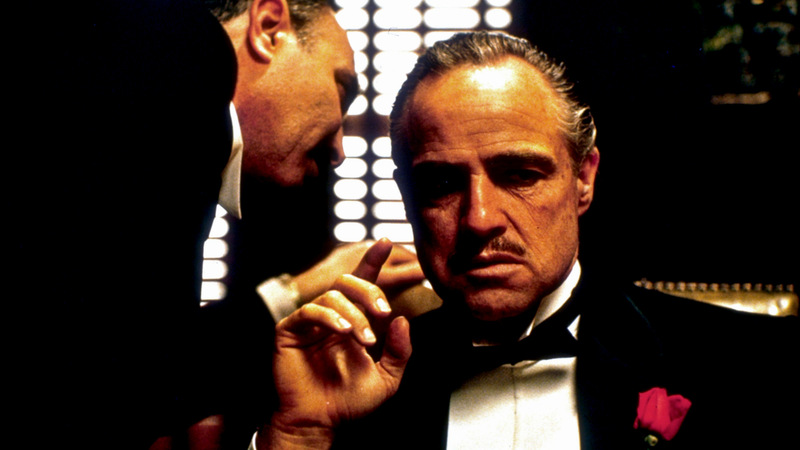 The film opens as “Don” Vito Corleone (Marlon Brando) hosts his daughter’s wedding, where he actively entertains his friends and business associates. Vito’s favorite son Michael (Al Pacino) has come home from the war (World War II), and he’s determined to do something different with his life, and his ambitious plans don’t include joining the family business. An idealist at heart, the young Michael seduces his girlfriend Kay (Diane Keaton) with inspiring tales of the fine and upstanding things he will do with his life. Through the eyes of Michael, the audience learns of the family’s various business methods and the hierarchy of its system. Vito’s eldest son Sonny (James Caan) is the heir apparent to his father’s empire. Middle son Fredo (John Cazale) performs his part in the business, but few consider him a possible successor. Providing legal council to the family is Tom Hagen (Robert Duvall), a long-time friend of the family who Michael treats as a brother. Life is good for the Corleone family until the day Vito is approached by an opportunistic newcomer named Virgil “The Turk” Sollozzo (Al Lettieri), an ambitious leader who aspires to become the number one distributor of illegal narcotics in New York. He asks for the Don’s blessing so he can expand his operations. But Vito sees a big difference between the traditional mafia activities of gambling and prostitution and the less-than-noble profession of selling drugs in schoolyards and family neighborhoods. The Don’s preference for placing family above all else creates a direct conflict with the changing landscape of his business world. 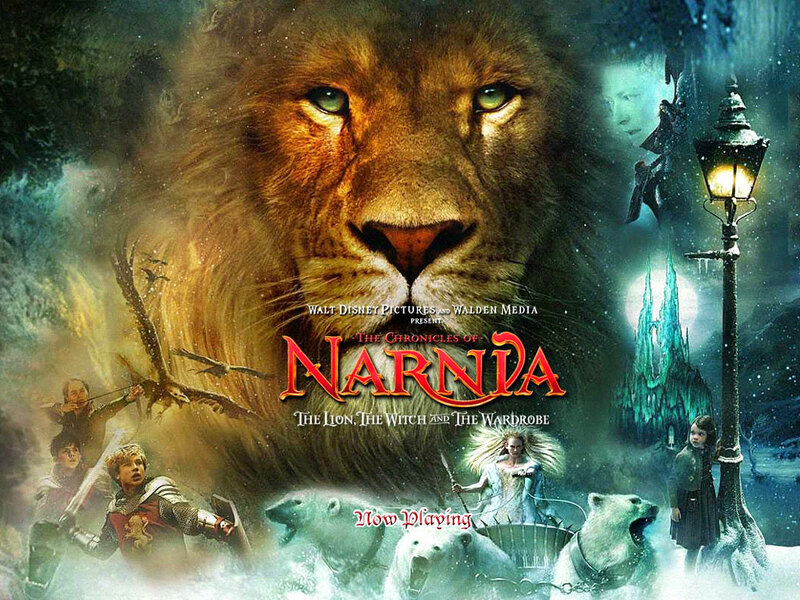 Nominated for three Academy Awards, The Chronicles of Narnia: The Lion, The Witch, and The Wardrobe follows on the heels of recent successful big screen adaptations of other childrens’ fantasy novels such as The Lord of the Rings books and the Harry Potter series. But while each of these series feature underlying tones of Christian symbolism, The Chronicles of Narnia is overtly intended as a Christian allegory. Written by the brilliant 20th Century Oxford and Cambridge literature professor C.S. Lewis, the Narnia stories were a tribute to his deep Christian faith. And this big screen transition is something of which he can be proud. Directed by Andrew Adamson, veteran director of the Shrek franchise, The Lion, The Witch, and The Wardrobe is a master blend of traditional human acting and computer generated imagery. The film follows the exploits of the four Pevensie children, two brothers and two sisters. Set during the early years of World War II, their mother sends them away to the countryside in order to escape the relentless Nazi bombing raids on London. Left to their own devices in the cavernous mansion of Professor Kirke (Jim Broadbent), they engage in a traditional game of hide-and-seek, whereupon the youngest of children, Lucy (Georgie Henley) crawls into a lone wardrobe stationed in an otherwise empty room. Backing her way through the garments, she stumbles into a wintry wonderland where she encounters a faun named Mr. Tumnus (James McAvoy). Initially, Mr. Tumnus tries to kidnap the young girl, but he experiences a change of heart due to the kindness of her spirit. As a result, he reveals to her the truth about the land into which she stumbled. Narnia is dominated by the evil White Witch who claims to be ruler of the forest, but the true ruler is a lion named Aslan who prophesied long ago that two “sons of Adam” and “daughters of Eve” would usher in the end of the one hundred year darkness administered by the White Witch. Knowing the prophecy, the witch intends to murder the children upon their arrival. But when Lucy relays the facts of the adventure to her family, they don’t believe her.